Shouldn't all human beings get human rights? Do you believe in human rights? Who gets them? We believe that human rights are for all human beings, and human rights start when the human being starts. Abortion is a serious human rights violation. We are a student-run university group dedicated to protecting and defending the value of all human life, from fertilization to natural death. Our mission is to end the killing by making abortion unthinkable at the University of Toronto -- transforming our campus, transforming our city, transforming our country. 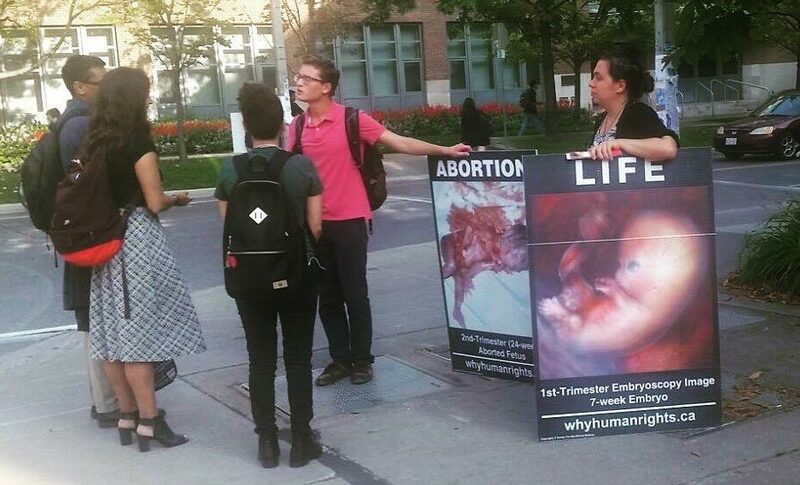 We work with a multi-campus activism team, Toronto Against Abortion, to end the killing. Read more about our theory of change and why we do “Choice” Chain. Nothing from April 19, 2019 to May 17, 2019.